On March 4th, wake up and come join us! We are offering a unique Sunday morning in a very special place, the Foundery Rooftop. Our rooftop is in the heart of the city and has beautiful panoramic views. We will start off the morning by warming the body and mind in the sun through Vinyasa Flow Yoga lead by Elisa, Miss Yogui. 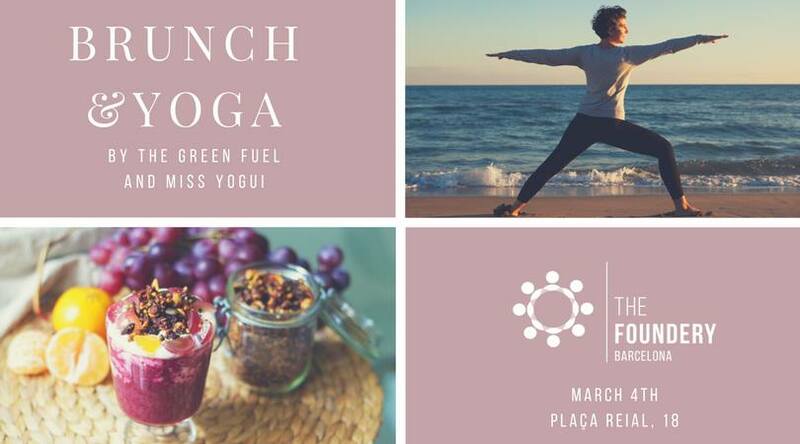 Following yoga, we are serving a 100% plant-based brunch that is made by Amanda from Green Fuel. If the weather does not permit, we will move indoors of the same building to celebrate the event. Within our vegan and gluten free menu you will find: Matcha latte, sweet potato toast, mango and mandarin cake, gluten-free choco-banana bread, and many other things!